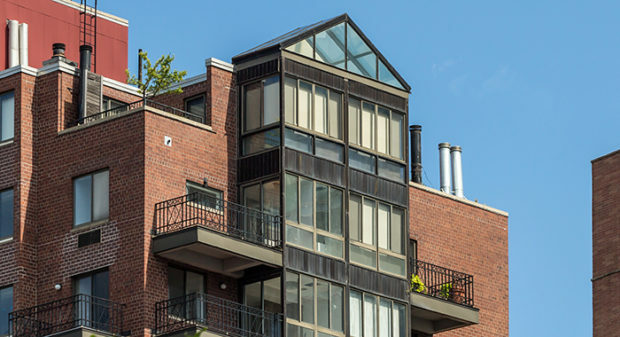 The NYC Department of Building (DOB) has released new permit requirements for balcony enclosures that are more than 40 feet above street level. Click here to read the DOB’s definition of a balcony enclosure. What does this mean if I have a screened enclosure? If your screened enclosure was installed before October 2, 2011, the enclosure does not require a permit. Please note that the DOB will require evidence that the enclosure was installed before this date. If you don’t have proof and the screened enclosure is more than 40 feet above grade, then you will need go through the permitting process or have the screened enclosure removed. New construction screened enclosures over 40′ will require a permit. What does this mean if I have a balcony enclosure? If you have a balcony enclosure (at any height with windows or solid walls) with a building notice or permit dated prior to October 2, 2011, then the enclosure can remain, though only if it is not being used as a room with plumbing, heating, ventilation, or air conditioning – unless the balcony enclosure was permitted as such. If permits cannot be documented or the enclosure is being used as a room, the balcony enclosure must either be permitted or removed. New construction balcony enclosures at any height will require a permit. Not in compliance? Have questions about these new requirements? Contact us at (212) 563-6760 or info@kmaofny.com, we’re here to help move your project forward!